First Head Over Heels post?!? 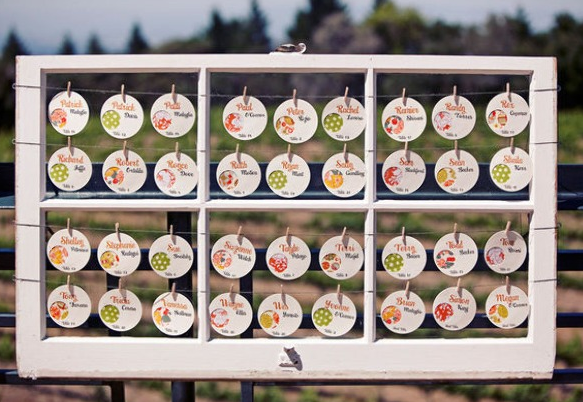 Pop some confetti! Here we go! 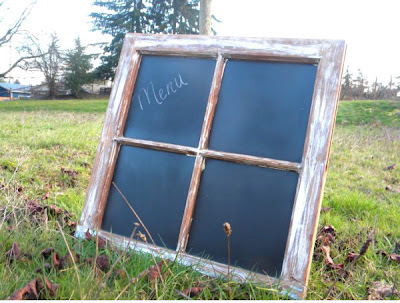 I am totally Head Over Heels for antique/ vintage windows (as if you didn't already know)! You can do so much with them...like the Chalkboard we made from the original windows from our house and the Room Divider we made for the Spare Room. A couple weeks ago I had a comment from bride to be and fellow Minnesotan Lauren. 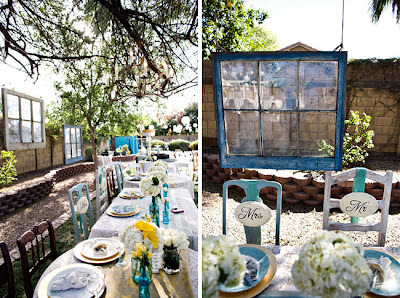 She had asked if I had any ideas on how to incorporate vintage windows into a wedding/ wedding decor. Well of course! 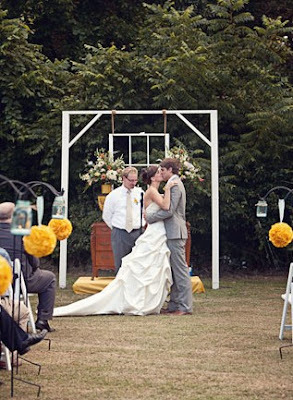 I found so many beautiful images, I had to write a Head Over Heels post about it! 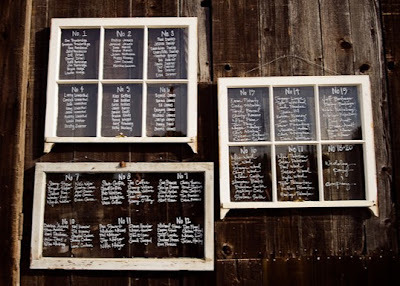 All the images made me wish I could plan our wedding all over again (sigh). 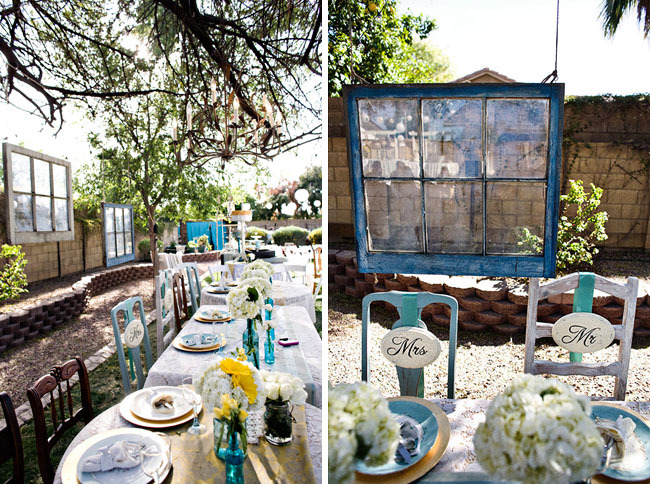 So let's go 'oooo' and 'awe' over these charming ideas for vintage windows at a wedding! Or any party really! There are a couple that could work for everyday in home decor too! Style Me Pretty: a Barn Wedding with Vintage Charm. All the images in the link are totally beautiful in this link! 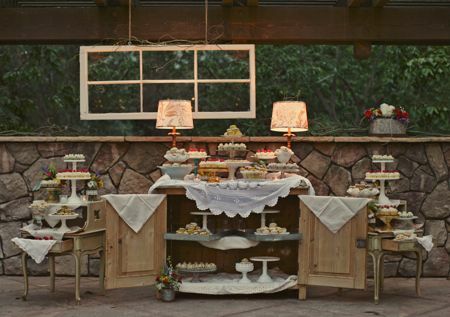 My Sweet and Saucy: A vintage window somehow makes these desserts look even more delicious. 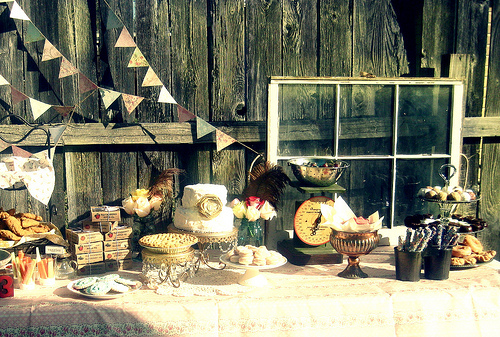 Southern Belles Charm: again, dessert AND a great vintage window? Yes please! Well now you know what I have been gawking at all week! 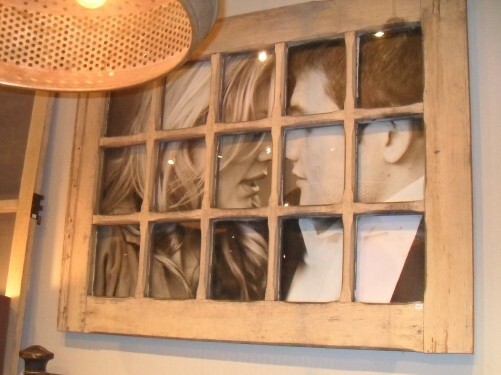 Hope you enjoyed a new look for antique windows for weddings... and I hope you got a couple new ideas Lauren! Hope you liked the first edition of Head Over Heels! The next one will most likely stray a bit from my usual likes, stay tuned for next week's! Oh- I'll be decorating the Spare Room this weekend and doing some more DIY decor, can't wait to share! 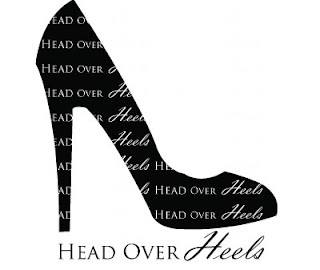 'Head Over Heels' Series and Versatile Blogger!